Everett is a very smart, very serious, very sweet almost-3-year-old who loves Super Grover, Play-Doh, and anything having to do with cars. 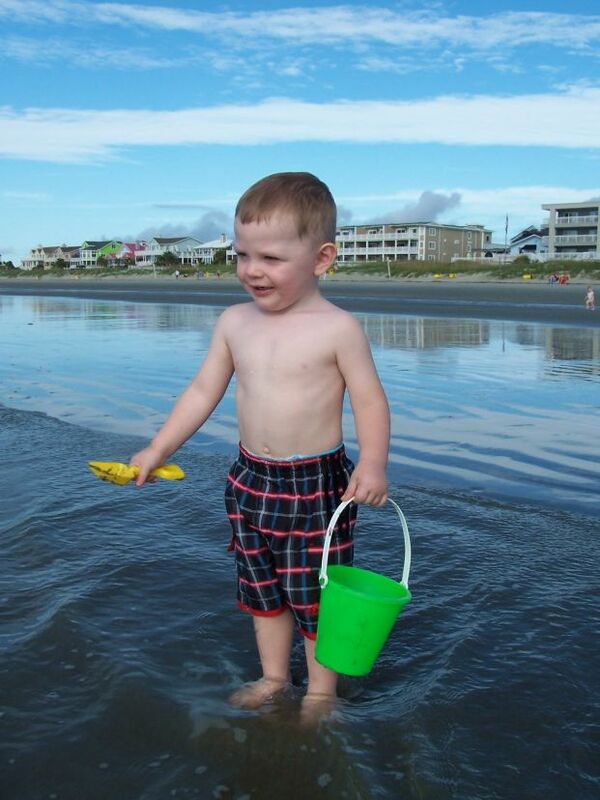 He is the middle child in a family with 3 boys, and Everett is the quiet, thoughtful one of the bunch. His giggle in infectious, his grin is adorable, and he's quite the charmer. Everett's Daddy, Blake, is in the Air Force. He is currently stationed overseas and won't be home until 2012. Everett's Mommy, Heather, is living in California with her Moms, and Everett's 2 brothers: Jaiden, 4, and Cooper, 1. Daddy Blake with Jaiden, Cooper and Everett. 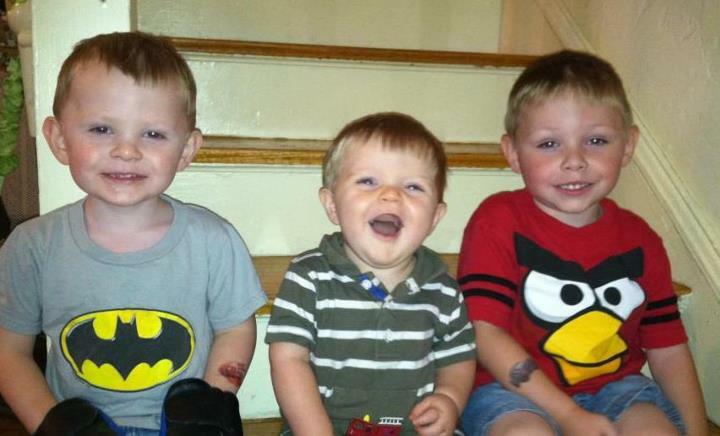 Everett with his brothers, Cooper and Jaiden. 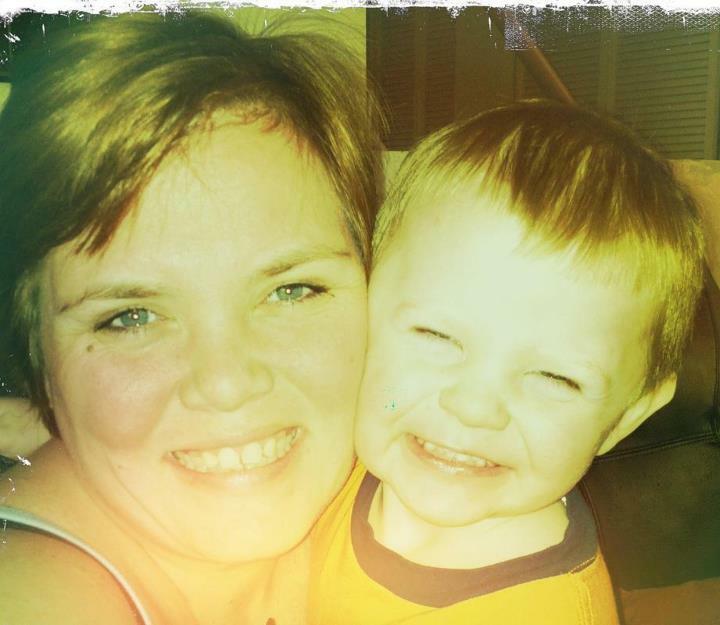 On March 31, Heather began reaching out to family and friends, letting them know that Everett wasn't feeling well. Battling the stomach flu, Heather was worried that he wasn't staying hydrated. After much worry and deliberation, she decided to take him to the local ER, in hopes that they could give him something to make him feel better. Upon the first visit it was decided that Ev simply had the stomach flu, and that the best course of action was to take him home, let him rest, and give him lots of fluids. The next morning, Everett seemed worse. Heather was having a hard time getting him to drink anything, and she was worried about dehydration. Back to the ER they went. 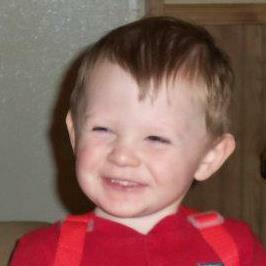 Everett was eventually admitted to the hospital, where they planned to keep him overnight for IV fluids and observation. Blood was drawn, and Heather settled in for a long night. It quickly became apparent that Everett was dealing with more than just the stomach flu. Tests showed that his kidneys and liver were not functioning properly. 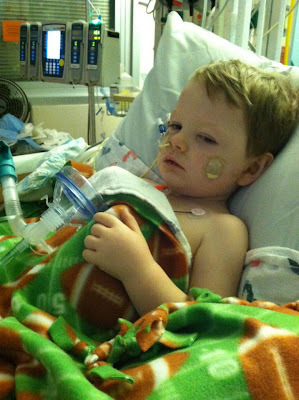 Heather was told that Everett's kidneys were shutting down, and that it was possible that he had contracted the E-coli virus. And the staff decided it was best to airlift Heather and Everett to a children's hospital in San Francisco. As if that wasn't scary enough, Heather was told that, due to weather and weight restrictions, she would be unable to fly with Everett. She would have to drive. And the children's hospital was 5 hours away. Little man, Everett, at the beach with us last year. 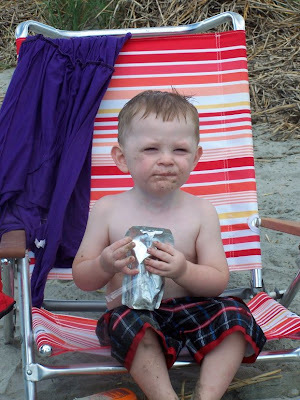 A very sandy Everett enjoying a juice box. Using her magic Mom card, Heather managed to wheedle her way onto the flight. A few hours later, Everett was admitted to UCSF Benioff Children's Hospital in San Francisco. In the short time that he's been there, Everett has received several blood transfusions and has undergone daily dialysis. His kidneys are functioning at 10%. Heather has been by his side every second of the way, and since her husband is serving his country overseas, and despite how much he longs to be there, Heather is there alone. Little Everett is fighting with all he's got! But he's still a sick little guy. Everett has been officially diagnosed with an illness called Hemolytic Uremic Syndrome. Doctors have ruled out e-Coli as the cause. Instead, Everett's immune system had an overreaction to a common bacteria in Everett's body, and in response, began killing everything in his system, including his own red blood cells. 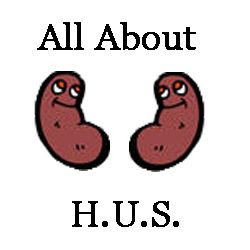 The only course of treatment for HUS is dialysis and blood transfusions. The cost of living in a hospital is astronomical. Heather is eating all her meals, sleeping, showering, and trying to maintain some sense of normalcy for her and Everett, all within the confines of their hospital room. The purpose of this blog is to keep Heather and Blake's friends and family up-to-date on little Everett's condition. We are also asking for donations on behalf of this family. Please click the tab above for more information. Thank you in advance to all who stop by this little blog to check on Everett. Any positive thoughts, prayers, donations, or even shares of our updates are greatly appreciated. 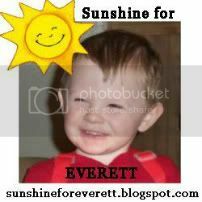 Let's keep sending sunshine Everett's way! Sending prayers and thoughts to Everett's family and I will definitely spread the word. 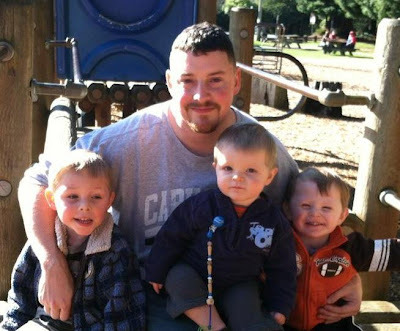 I can't imagine what his father must feel being deployed so far away and how his mom Heather is coping. My heart goes out to them all. Thank you, Ado! I know Heather will see all the comments, but I will pass along the message to her anyway. Thank you for sharing our cause with your friends and family!! I know Travis AFB is trying to help. The Air Force Aid Society could help as well. I added the URL to my name in this comment.